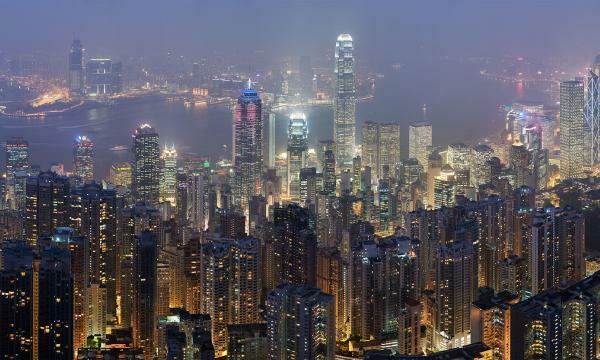 Over the past few years, Hong Kong has established itself as one of the hottest global hubs for startups. As the region’s financial hub, as well as being a springboard to the burgeoning Mainland China market, local and international startup founders alike are using Hong Kong as the base to establish and launch their businesses. Based on my own experience advising various startups in Hong Kong and Asia, there are opportunities for these up-and-coming companies to make an even greater impact through simple but impactful branding strategies. Unfortunately, startups tend to deprioritize branding as they look to launch their business. One mistake is that startups tend to think of branding as the domain of large corporations. But branding is equally, if not more important for startups as it is for established corporates. The other common mistake is to focus more attention (and funding) on marketing rather than branding. It’s an easy mistake to make – marketing is “sexier”, it’s easier to understand, and there’s the assumption that focusing on marketing will automatically lead to increased sales and revenues. If building a business is like building a house, branding is the foundation that needs to be laid down first, with marketing and sales being the floor, walls and roof of the house that are built up thereafter. If your brand “foundation” is not properly set and established, subsequent marketing initiatives will lack shape and stability, and potentially fall flat. A company’s brand is the long-term marketing tool that shapes its every day marketing activities. By properly establishing your brand upfront, the marketing and sales activities which follow will be more likely to succeed. For a startup, the sole focus should be ascertaining what will resonate with their target audience – i.e. potential customers, partners, and investors. This helps startups define what it is that makes them unique in their respective markets. This does not mean hiring a research firm to conduct a lengthy study. Deskside research, media monitoring, and talking to experts and key opinion leaders in the industry should suffice. At the end of the research, startups need to answer the following – who are their most important target audiences, and what do they want their brand experience to be? There is no hard and fast rule when coming up with a brand name. It can be a direct linkage to the founders’ names, allude to the product or service being provided, or even be a made-up name like Sony, Kodak, or Ikea. If unsure, a startup’s safest bet is to pick a name that explains what they do. It’s easier for the target audience to understand what the company does. When the brand name reflects what it does, it will usually create a story that is more memorable. No matter what, startups need to be ready to make brand name changes if necessary. For example, Amazon was originally launched as Cadabra.com. But this was often misheard as ‘cadaver’ over the phone or in meetings, hence the change to Amazon. Another example, Google wasn’t always Google. Co-founders Larry Page and Sergey Brin initially launched their startup as “BackRub”. But a year later they decided that the name wasn’t good enough and held a brainstorming session with their classmates. The end result is the now world-renowned “Google” brand name. Brand image and visual effects are important parts of startup branding because they are the front-end of the business. What the target audience sees is going to decide how they feel. A company’s brand identity is associated with the visual elements by which you they recognized in the market. We know Cathay Pacific with its brush-wing logo, DHL with its yellow and red colours, KFC with the image of Colonel Sanders and the “Finger Licking Good” tagline both always in view, and Apple with its half-eaten apple logo. Whatever visual elements startups eventually decide on, they should stay consistent. This will allow the startups’ target audiences to develop brand familiarity and trust. The most important brand visual is the company logo. Logos can make a big difference to a startup – solid logo can help boost brand identity, while a badly designed one can do irreparable damage. I have seen many startups try to design their own logo and the results are usually not good and have to be changed sooner rather than later. This is the one area of branding where I would recommend using outside expertise. Unless the startup has strong design skills in-house, a designer should be engaged. Good branding begins with a solid name, images and visuals, but is elevated with effective storytelling. Startups are reaching out to their target audiences for the first time, so a major challenge they face is not being recognizable or have them know what they are offering or do. Yes, startups need to garner their audiences’ attention first, but to ensure success they need to give them a reason to care, connect and engage with the company over a period of time. Developing and telling an interesting brand story is a good way for startups’ audiences to identify with and connect with the brand on a more personal level. Startups tend to go through periods of rapid change through its formative years which will lead to a combination of new employees, vendors, and freelancers working on and touching various elements of the company brand. A brand style guide is needed to keep in check how the startup wants to control its brand assets and stay consistent. This document will provide brand guidance for everything from the colour palette, to icons and logos, to images selected and used, to the way print and online content is designed, to tone of voice. But it’s important to remember, it’s not just about laying out the rules. A brand style guide for startups should have a balance between controlling output, but also to stimulate interest in the brand.